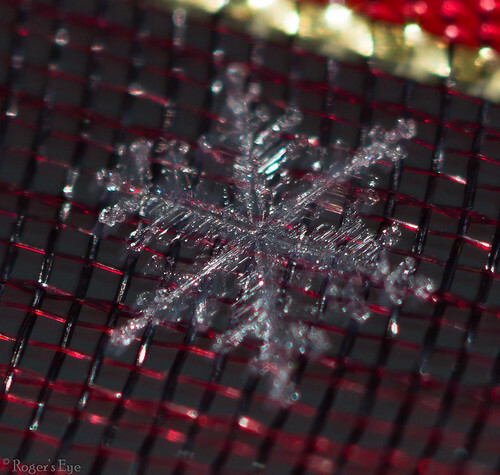 Snow Flake Macro 009 a photo by Roger’s Eye on Flickr. Every time it snows I run out to snap a few flakes. This is tricky and cold work.